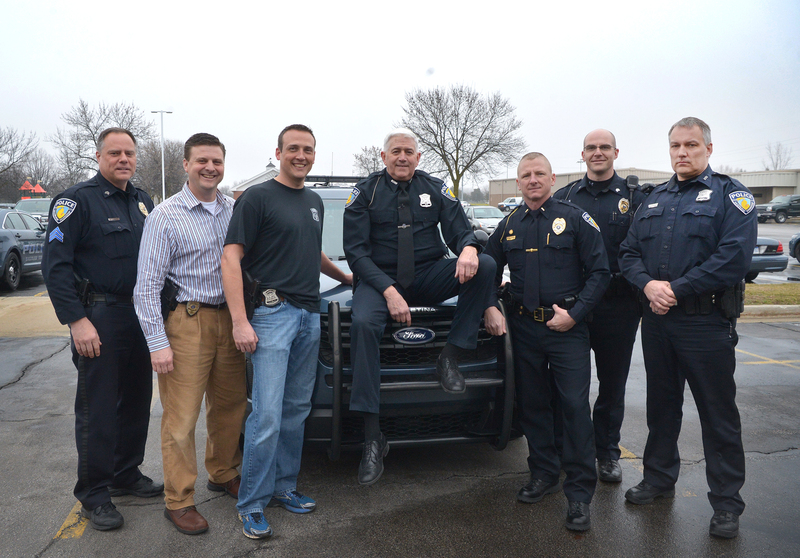 LANSING, Mich. — State Sen. Ken Horn kicked off the 2017 Hometown Job tours by joining the “boys in blue” at the Saginaw Township Police Department. After getting into his freshly pressed uniform and having it OK’d by Lt. Rick Herren, Horn began his day on the job as a Saginaw Township police officer. All new recruits with the department start with two days of administrative training regardless of their previous law enforcement experience. After being briefed on what would typically happen for a new recruit coming in, Horn was able to fast-forward to the second phase, saving lives. 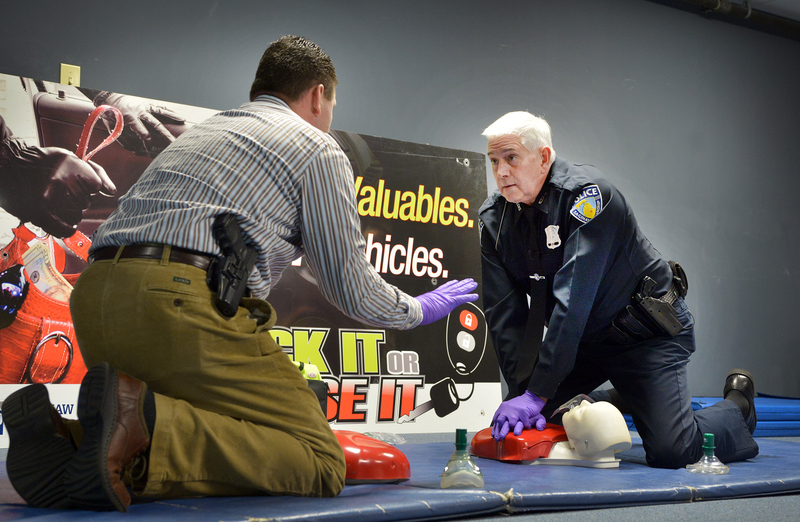 The formal training began with CPR and AED familiarization. The most important thing to recognize is the difference between a heart attack and cardiac arrest, and which treatment is to be applied to the victim. Traditional CPR does not help in the event the heart stops beating and therefore is no good in an arrest situation. Similarly, using an AED on someone who is suffering a heart attack is equally ineffective. After completing the training and practicing with a few scenarios, Horn then moved into the training room where they would work on various tactics officers use to subdue threats and get unruly suspects to comply. From arm bars to wrist locks and batons to Tasers, the team demonstrated various ways they utilize the body’s pressure points and joints to create a safe advantage in order to de-escalate a dangerous situation. And because police officers must experience the effects of a Taser before they are able to use it, Horn spent a “long, long five seconds” getting tased. The group spent a great deal of time covering de-escalation methods because situations can change in an instant and officers must be able to identify these changes and react appropriately based on that split-second of what they see. The last leg focused primarily on firearm safety and scenarios when such use of force would be necessary. Herren, who also serves as the department’s firearm instructor, guided Horn through the basic principles of firearm safety and marksmanship. 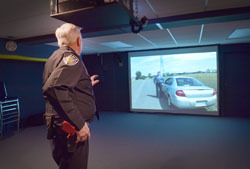 The senator began on the department’s simulator where he was able to fire simulation rounds at the on-screen target. Next, Herren placed Horn on a simulator that digitally portrayed real-life scenarios, forcing him to give verbal commands and use various degrees of force. The software changes the direction of the situation based on the officer’s verbal commands and actions. When the simulation is complete, it gives trainees a debriefing at the end highlighting where they could improve. After Horn finished the basic fundamentals of firearm training, the team wrapped up the day with live-fire drills at Saginaw County’s training center. Beginning with non-lethal beanbag rounds that are primarily used during riots and violent protests, the group worked their way up to practicing grouping shots at various distances with a department-issued sidearm. The importance of tight grouping is paramount in a self-defense situation because officers must make sure rounds land on the intended target and only the intended target. There is no room for error. Editor’s note: A print-quality copy of each photograph is available by visiting www.SenatorKenHorn.com. Click on “Photowire” under the Media Center tab. 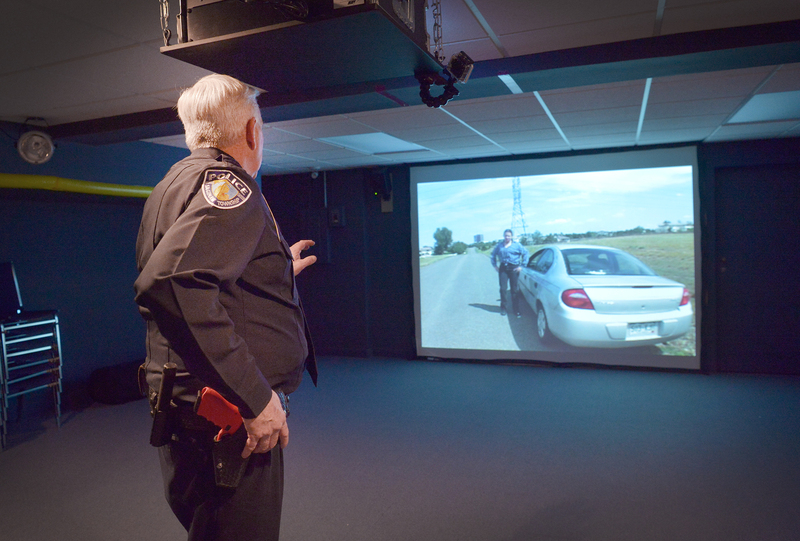 PHOTO 1 CAPTION: State Sen. Ken Horn, R-Frankenmuth, conducts a routine traffic stop on the Saginaw Township Police Department’s training simulator. PHOTO 2 CAPTION: Under the watchful eye of Det. 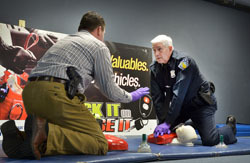 Scott Malace, State Sen. Ken Horn, R-Frankenmuth, performs CPR on one of the department’s training dummies. 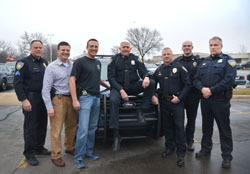 PHOTO 3 CAPTION: State Sen. Ken Horn, R-Frankenmuth, stops for a photo outside Saginaw Township Police Department with the team of officers that helped complete the first Hometown Job of 2017.